If you’ve ever undergone a root canal to save an infected tooth, your dentist probably didn’t mention the type of tools he was using to perform the procedure. 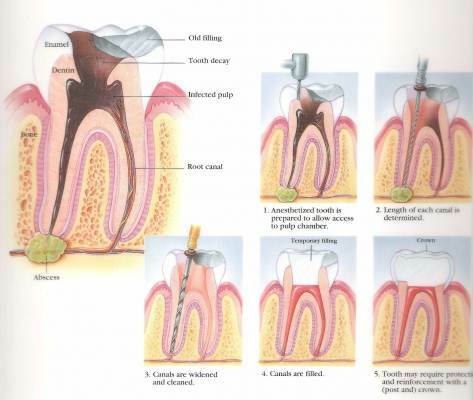 You may not think it matters as long as the treatment is effective; however, if your root canal was performed using the traditional manual method, you may have noticed that it was a bit nerve-racking. Here at Jain Dental Clinic we use rotary endodontic technology to make the experience smoother and more comfortable for our patients. Teeth are made up of several parts – the outer enamel, the dentin, and the inner pulp material which consists of nerves and blood vessels. Damage to the outer areas of the tooth can often be repaired with fillings or composite restorations, but once the pulp has become infected, a root canal is the only way to save the tooth.